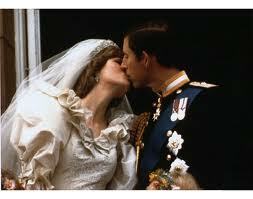 When I was three years old, Lady Di and Prince Charles were married. I know I saw footage of the wedding (in replay), and it seemed like the most amazing and wonderful thing ever. Diana’s beauty in her dress made my tiny heart light up. I imagined what it would be like to be one of the flower girls (whose dresses were almost as good, by my three-year-old standards). The prince and princess both smiled radiantly and kissed in front of everyone, which proved to me that they were truly in love. 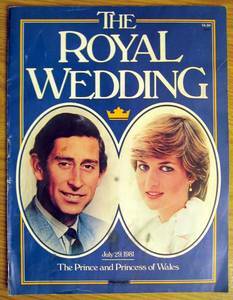 My sister and I both had copies of the Royal Wedding magazine, which we pored over and kept forever. (Actually, they’re probably still around somewhere. I would love to see them.) With photos like these – which are ingrained in my visceral memory like the pattern on my childhood bedspread – how could royalty be anything less than perfect? Charles and Diana’s wedding was witnessed by an estimated 750 million people worldwide – the most-watched televised event to that date. 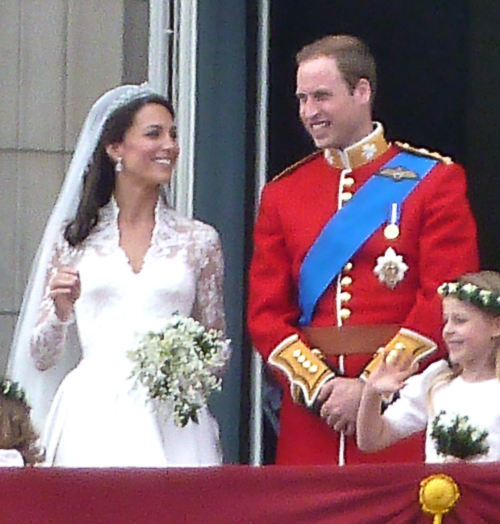 Humanity was in love with the royal couple – people partied in the streets and bought wedding-related merchandise in record numbers. They were obsessed with Diana – so young and gorgeous, quickly becoming a fashion icon and a role model, seemingly shy and daring at the same time. Soon, she would be known as a loving, demonstrative, and hands-on mother – not the usual royal way, but a modern approach that only endeared her more to the public. It’s all heartrending to think of thirty years later – how nerve-wracking that day may have actually been for this 20-year-old girl (twenty! a baby!) whose life would never belong to her again… how Charles may have already been wishing at that point that he’d asked Camilla to wait for him when he went overseas, instead of marrying someone he didn’t love (although she had the “best qualities”). How sordid and tragic it would all become. 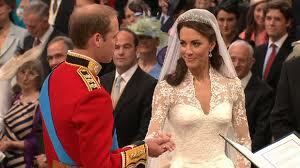 After all this, the world needed William and Kate. (So did the monarchy, but that’s a whole other kettle of caviar.) Young people, but not too young – they’ve been together a long time, and seem to know what they’re doing and have their heads on straight. A beautiful new fashion icon for a new era, able to inspire frenzied acquisition and knock-offs of whatever style she wears. A relationship that, by all accounts, is real love. That part, I believe, is what really makes humanity happy: the prospect of a truly functional, healthy, loving marriage in this royal family. I’m sure it would have made Diana happy, seeing her son bring something real and joyful – and somehow, relatively down-to-earth – to the palace. I admit, I only saw highlights of the wedding, after the fact. When I arrived at school, I just had time to watch the balcony kiss via internet with several other teachers, before heading out to yard duty – only to find the kids were all talking about it. “Did you see the royal wedding?” was heard all over the playground, from kids of all grades – and not just the girls. Everyone was grinning and talking about it, all dramatically, palpably excited (as kids are wont to get). And really, this was just a childish microcosm of what was going on all over the globe: an estimated 2 billion viewers, one million people lining the procession route in London, dress-up parties, funny hats, lookalikes, dancing, happy crying, and just… huge amounts of celebration. Say what you want about the monarchy and its relevance or its extravagance. Go ahead and be a curmudgeon and complain about the incessant fuss people have been making, if you must. We all know that a wedding does not fix “austerity Britain” – or, for that matter, bloody conflict in the Middle East or devastation in Japan or Haiti or… the list goes on. The fact is, there are precious few events that unite the world in exuberance. Even World Cup soccer and the Olympics have to have losers. So, for the sake of societal sanity, we needed to enjoy this one. Oh oh! I was seven (i think?) when Charles and Di got married. I had read every inch of that magazine (and the two little books on the bride and groom – don’t know if those are still around – they didn’t have as many pictures so I don’t remember them as well!) – and pretty well memorized everything about both Charles and Di that was in it. Perfect adoring colonial subject, but more importantly a little girl who had fed on fairy tales and was gorging on this one! Oh, the dress – remember that picture with the dress spread out allll around her, like an ivory lake? And that photo that the press went mad about where you could see the outline of her legs through the skirt; I think that was also the one where she was posing with two of her kindergarten students. A princess who WORKED for a living! Shocking. Though she did still abide in mansions and have lordly relatives and all that. I think she had a Shetland pony; that was the first time I remember seeing one. And there was a photo of Charles in Papua New Guinea, first time for that too. I’m glad I was an innocent romantic untainted little girl at the time, cause I enjoyed all of that to the jewel-encrusted hilt. 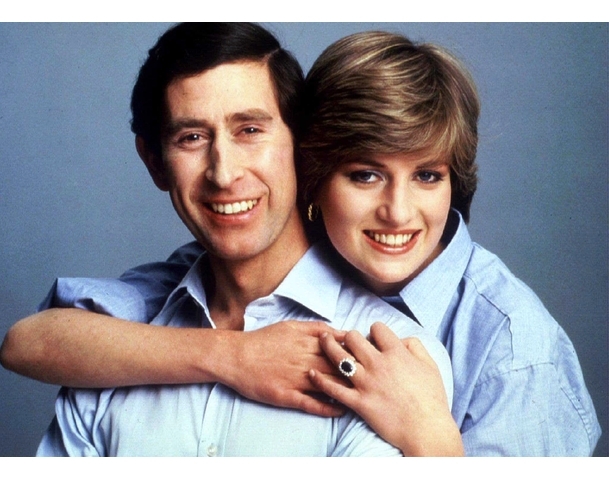 Lady Diana seemed like an elegant grown-up to me…come to think of it, she may have been partly responsible for my thinking that 20 was the age at which one had a job and got married. Seemed reasonable for her! pps – I am SO IMPRESSED that you found those actual photos.